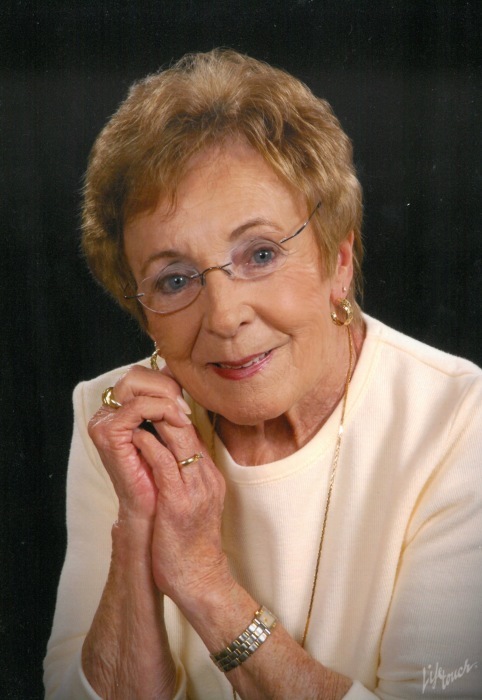 Evans Funeral Home announces the death of Betty Jean Gerber (Tennant), born July 13, 1935 in Peoria, Illinois and passed away on September 6, 2018 after a long illness, now reunited with her beloved husband and love of her life Urban. Mass will be celebrated Saturday, September 8, 2018 at 12:00 noon in St. Catherine’s Laboure Catholic Church in Jefferson, Georgia. Preceded in death by her husband Urban, her parents, Mary and John Decker and her son, Mark Anthony Gerber. Survivors include Daniel and Terri Gerber of Tyler TX, Diana Bowers of Suwanee, GA, Tammy and Douglas Patterson of Hoschton, Joyce and Tim Wright of Dacula and Jerry and Niki Gerber of Dalton; sister-in-laws, Ida Mae Hanna and Delores Bergkamp of Kansas; fifteen grandchildren, six great grandchildren and numerous nieces and nephews who she loved dearly and a multitude of family and friends also survive. Mrs. Gerber was kind hearted, generous, selfless and thoughtful. The kind of person we as her children will strive to be. She will be dearly missed, loved and cherished always. In lieu of flowers, and in keeping with her wishes,please make donations in her name to St. Catherine’s Laboure Catholic Church, 180 Elrod Road, Jefferson, Georgia 30549. Evans Funeral Home, Inc., 1350 Winder Highway, Jefferson, Georgia. 706-367-5467.